Babies are kept warm and snug inside the womb. 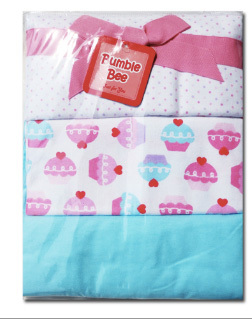 Receiving blankets are used to wrap newborns snugly to lessen the shock of their new, open environment. 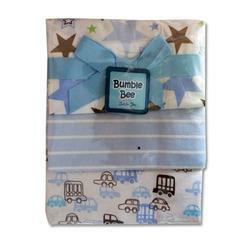 Bumble Bee Receiving Blanket are versatile baby items, they are common gifts for new parents. Many come in the standard baby colors of pink and blue. Green and yellow are popular for those who don't yet know the gender of the expected baby. They can be rolled and tied with ribbon for an attractive presentation. Some people pin several rolled blankets together as arms and legs to make a baby shape. Wash before first use recommended. Tumble dry low. Iron warm.